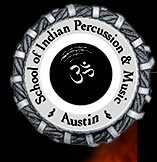 The Austin School of Indian Percussion ~ The Ultimate Place to Learn in Texas!!! This will be followed by a Recital performance of Gourisankarji’s students. In addition to the students, eminent guest artistes will also be invited and will perform at this recital. In addition to the classes, a Multi-day workshop will also be offered at the end of the Fall semester. The duration of each Group & Private / Individual Classes are about an hour. Students of all levels are welcome and encouraged to take individual lessons. This is a great way to obtain exclusive training and close personal instruction based on your specific skill level and interest. The fee structure is based on the semester schedule payable in 2 installments during the semester as described in the table below. Students of all levels are welcome and encouraged to take group lessons. A group tabla class usually consists of 4-6 students who are approximately at the same skill level. This is a great way to learn about the tabla and meet other tabla students in your area. The fee structure is based on the semester schedule payable in 2 installments during the semester as described in the table below. If any tabla student is interested in classes but does not want to enroll in the semester system the fee structure will be $60 per class. Please contact Shri Gourisankar for scheduling an appointment. These classes are 30 minutes one on one. The monthly fees are $120. In addition to classes, Multi day workshops for students of all skill levels (usually varies from 3 – 5 days) will be held at the end of every semester. The fees for these workshops will be announced at a later date during the semester. A detailed course structure for every semester will be introduced. At the end of every semester, following the workshop will be a day where we host student performances and recitals. In addition to the students, eminent guest artistes will also be invited and will perform at this Recital. This will be a grand finale to every semester. Family and friends are all invited to this wonderful and informal event to enjoy and listen to all the hard work put in by our students during the semester. During the course of the year, the aim of the school is to invite great tabla masters as guest speakers/performers to Austin to enhance the learning experience of our students. Please stay tuned for notices on this topic for the upcoming year. Excellent Tabla’s are available for purchase if needed by any student. Please contact Shri Gourisankarji either by phone (979)402-3539 or by email at tunnake @gmail.com to check availability or to place an order. Limited Scholarships are available to students who are in need of financial assistance or face any other extenuating circumstances. Please contact Gourisankarji either by phone (979)402-3539 or by email at tunnake @gmail.com. by email at tunnake @gmail.com to enroll in any of the above classes. CALL US AT 979 402 3539 or Email Us.